like touchscreen multimedia system with GPS navigation, New drive pro console, advanced driver information system, new front duo-float suspension, steering wheel mounted controls & Blue-5 technology, and more which makes the car the most exciting hatch in the A2 segment. "At Tata Motors, the core philosophy behind the launch of every new vehicle is anticipating what our customers need and blending it with the best-in-class technology and design engineering. With the launch of HorizonNext, an aggressive four-pronged customer-focused strategy has been imbibed by us. Taking this strategy forward we are bringing exciting cars like Vista VX Tech, which has best-in-class features and latest technology, which offers great drive experience and comes packed with high-end features, which are first in the segment. We are proud to introduce this new innovation to the market," said Ankush Arora, Senior Vice-President, Passenger Vehicles Unit (Commercial) Tata Motors Ltd. The new Tata Vista VX Tech top-of-the-line limited edition variant has at its centre, a 6.5-inch TFT touchscreen based multimedia system designed for audio (radio and CD), video (DVD), USB, Blue-5 (Bluetooth pairing with upto 5 different mobile phones), Aux-In and advanced GPS navigation system. These elaborate features can be conveniently controlled by the driver from the illuminated steering wheel mounted controls. The Vista range also offers a Drive Pro Console and an advanced driver information system at the center console. This console also includes a digital clock, and depending on the mode, instantaneous fuel economy and average fuel economycan be known. The tachometer reveals its sporty red line as it sweeps across the tachometer face. The Vista range will be available in a new exterior colour, blue chill, which perfectly complements the rich dual tone interior, with full fabric seats and inside door handles with chrome embellishments. The range comes with front duo-float suspension, which offers an even better balance of ride comfort with dynamic handling. The Vista range is available in 3 trims - LS, LX and VX Tech. The LS trim is available in 1.4 litre TDI BS III and in Quadrajet 75 ps BS IV diesel engines. The LX trim is available only with the 1.4 litre TDI BS III diesel engine while the top-end limited edition variant, the VX Tech is offered in 1.3 litre, Quadrajet 75 ps BS IV diesel engine only. The Vista range starts at Rs.4.94 lakh for Vista LS, and goes upto Rs. 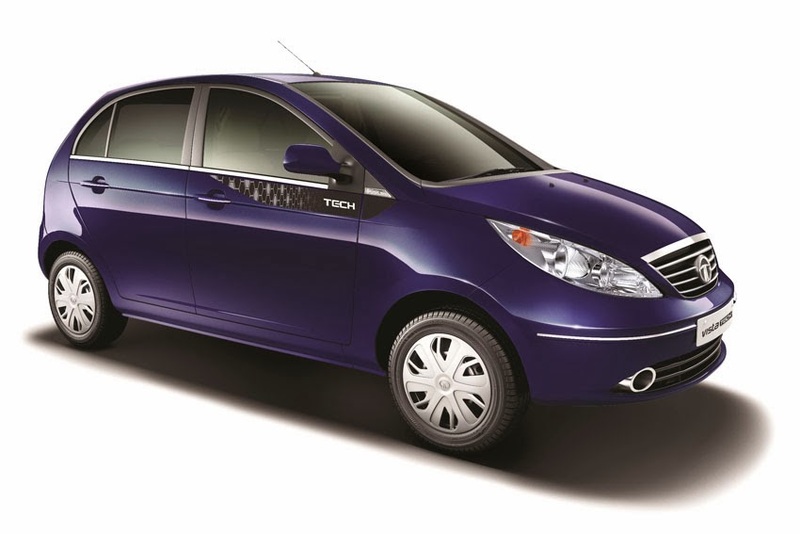 5.99 lakh for the Vista VX Tech, ex-showroom Delhi.